The laugh at the end is chilling… Could palpatine actually be alive still??? If Palpatine was still alive that would be really weird because it would really undo the impact of the OT and Luke’s actions. I would find it interesting if he was some sort of force ghost guiding Kylo rather than still being alive. That would be cool… However, I know that in previous canon from the Extended Universe and the OT and PT, sith could not become force ghosts… I do agree that it would seem pretty cheap to say that palpatine is still alive though. My guess would either that they further broke EU canon by making palpatine a force ghost (a red force ghosts to contrast the blue of jedi would be cool) or maybe somehow palpatine is a clone of somesort or another way to “cheat death” like he tried to teach anakin in the Prequels…??? I thought that in order to make the new star wars movies they basically said the whole extended universe wasn’t cannon. I’m pretty sure that some of the story archs that were unrelated from the new movies still stayed canon such as the early stories of the jedi? 8 why does this film have to exist? It has no logical flow, a third of the movie is spent in a weird romance subplot which makes no sense, and it completely messes up the character of Luke. That being said, I can’t wait for this movie to come out. And the trailer said something about the end of the saga. Is that just the NT saga? Star Wars saga as a whole? Are they done with new movies? Are they gonna add more prequel type stuff? What will happen to Star Wars??? What will happen to Star Wars??? I highly highly doubt they will not make another trilogy. This mainline Star Wars stuff just makes them way too much money for them to put it to the side. In the mean time they’ll probably stick to what they have been doing with the mainline releases and prequel stuff splattered around. 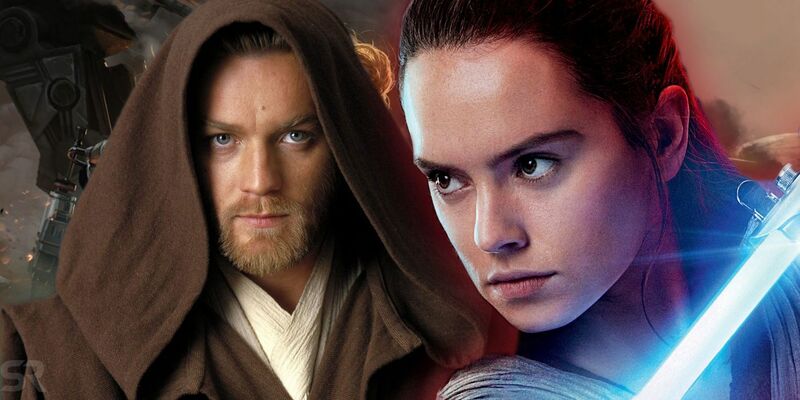 I hope that for the next trilogy they decide to have a clear direction before going in and not have switching directors. 8: They made some mistakes, such as messing up the story arch of luke and the ending where they fly the ship through the star destroyer also ruins all the space battles. However, if these scenes were good, it could have greatly improved the 8… I do think that the kylo ren quarrel between good and evil was an interesting idea in 8 and the idea of killing the big bad, snoke, in the second movie of the trilogy is something not seen before in star wars… So, SW8 could have been great, if not for the mistakes made with luke and the space battle at the end. I hope luke’s story arch gets fixed and luke realizes that he made a mistake in not having hope for kylo to turn back to good. i hope rey does not get together with kylo as i think hat kylo should be pulled back to the dark side by eithe palpatines force ghost or a clone version of the emporer. I highly highly doubt they will not make another trilogy. For my hopes for 9 I don’t really have high hopes for how the movie will turn out but I do think they could set up a really interesting universe. I would like to see at some point a universe in which you have a bunch of different factions fighting for control and we follow the stories of different factions in each movie and at some point they all meet up and form an alliance/half of them meet up and form 1 alliance and the other half form another and they fight each other. I think that this type of story would be good for a character driven story and some interesting moral ambiguity on all sides of this conflict. I thought Kylo was pretty good and the special effects + music was pretty spot on. As for the story and the other characters I liked fin, snoke, and hux but episode 8 kinda ruined them. David Benioff and D.B. Weiss, the creators of game of thrones, are going to make a new trilogy. Rumor has it that this set of movies will take place in the Old Republic, so completly unrelated from other the base star wars stories. Also, Rian Johnson is making a whole other trilogy as well. We really know nothing about this trilogy as of yet. But we know that it will not involve the “skywalker saga” characters. Several movies are in the works. a dweeb, snoke who cares?